DY-LU-I/II Loader and Unloader are specially designed to load and unload the road marking equipment, such as self-propelled, hand-push road marking machines and single cylinder preheater, etc. 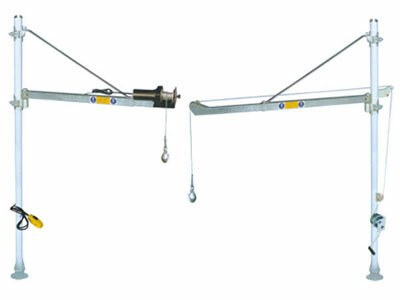 Generally, the weight of these equipment are about 100 kg - 1000 kg. Type I is driven by human, type II is driven by electricity. Scientifically designed completely avoied equipment damage and personal safety problem when manual loading and unloading. CE, GS, EMC certificated in Europe, and UL, CUL certificated in the United States and Canada. Easy to be installed and have perfect and stable performance, light and small in size. Only needs one or two workers to finish the frequent heavy loading and unloading work, saving time and human power.